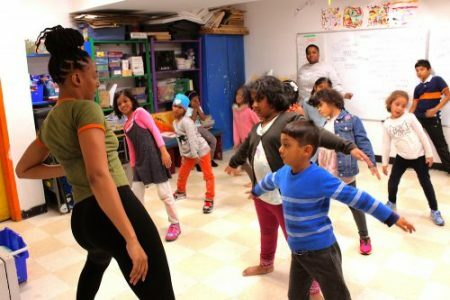 Art City builds/increases access to high-impact arts programs, for the families in St. James Town. Many families in our community cannot afford to pay fees for after-school programming, child care, or recreational activities. 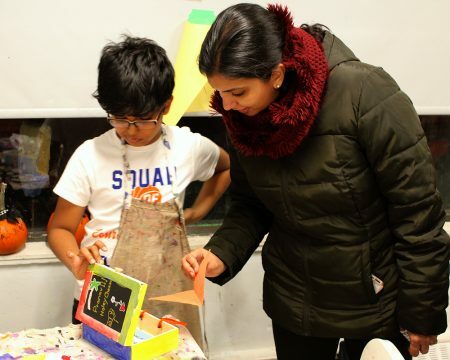 We provide free art workshops, with pick-up from four local schools, after-school snacks, and occasional field trips to cultural destinations around Toronto. Art City is also a safe place to go during hours that many children would otherwise be unsupervised. 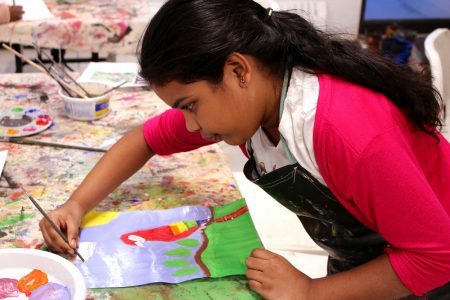 Art City has customized our after-school arts programs in unique ways. We have a program designed specifically for newcomer and refugee children, as well as Fashion Design programs created by and for local preteens. We have a weekend program inviting and employing local Artists and our participants’ family members to teach their artistic and cultural traditions to the younger generation. We believe in the capacity of arts to build and strengthen communities. This is why our programs are designed in response to the needs of our community members. As much as possible, we involve community members in the creation and design of the programs as well. We are about all forms of art! Our participants are aged 6-13 and they are still learning what kinds of art they like. We teach all art forms: visual arts, drama, dance, fashion, and music! We’ve done it all. Children are encouraged to register for the weekly program that they will enjoy most, and which will provide enough of a challenge to develop their skills.